How will the Indian market react if the US interest rates rise? "The emerging markets were the major beneficiaries of low-interest rates since investors invested in emerging markets as the US market was fragile. But now the US economy is showing signs of improvement with unemployment at 4.9%, a positive figure in Fed’s view. Inflation is presently at 1.1%, below the Fed’s 2% target." The Fed Rate Hike will have a host of implications on the Indian Financial Markets ranging from depreciation of the Rupee to consolidation in the stock markets. After 2008 crisis, US Fed slashed the interest rates to 0.00-0.25% to support the economy. Since then US Fed has kept interest rate constant to increase liquidity in the US market. The emerging markets were the major beneficiaries of low-interest rates since investors invested in emerging markets because US market was fragile. But now the US economy is showing signs of improvement with unemployment at 4.9%, a positive figure in Fed’s view. Inflation is presently at 1.1%, below the Fed’s 2% target. A recent poll of economists predicted that the Fed will further hike rates by 75 basis points in 2016-17. 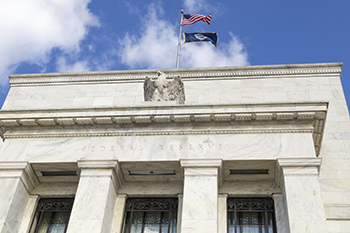 It’s highly unlikely that the Fed would hike rates in its mid-November meeting foreseeing volatility induced by the US Presidential Elections. This improves the probability of a Rate hike in December. The consensus poll indicates a 25 bps rate hike in December. However, at a time when one sees the potential divergence of monetary policy with the US’s peer G-20 countries implementing loose monetary policy and even quantitative easing, the Fed may take into account the immediate consequence of raising US interest rates and apply a more dovish approach to rate hike. The most relevant impact of rate hike has been seen on the currency front due to the higher demand for investment in the US. Leading to capital outflow from emerging markets since investors will prefer to invest in US market both in debt (better yield) and equity (better economic growth). As seen in December 2015, after the Fed raised rates by 25 bps, the Indian Rupee depreciated Rs 2.53 to lows of 68.80 by March 2016 as foreign investors in Indian markets moved funds to US markets. The depreciation of Indian Rupee will lead to higher current account deficit and higher inflation. If Fed hikes rates further in December 2016, it will likely depreciate the Rupee, due to the cascading effect on all emerging markets. Further, the RBI intervention may act as a limited buffer since the RBI now is more accommodative of domestic parameters such as inflation and growth. If RBI further reduces domestic interest rates, it will further add to the Rupee fall. As the subsequent interest rate hikes by US Fed will reduce the gap between interest rate differential of US and India. Stock markets will also be impacted by the rate hike due to outflow of Foreign Institutional Funds. However, due to fundamental strong hold, India would be better off compared to other emerging markets. The consequent rate hikes would most likely affect the earnings of companies with foreign revenue or debt exposure. Earnings of Import oriented companies will be under pressure with a weaker Rupee, where as export oriented industries will benefit from favorable foreign exchange gains. The rate hike will bring volatility in the bond markets as it will drive down price of 10 year bond. Historically, we’ve seen that the rate hike has had only a short term impact on Indian Stock Market. Considering the strong growth in India, it is unlikely that the long-term investment story of India will get impacted due to rate hike. But, in the short run, the negative effects of FII outflows in expectation of the Feds move will outweigh the positives of a stronger macro-economic picture, improving fundamentals and any significant influx of capital from DIIs. The above table shows 6 months performance of Sensex post Fed Rate change announcements. The rate hike would have only a short term impact led by outflow of FII funds and currency depreciation. But, strong fundamental dynamics of India markets will lead to little or no impact on US Fed Rate Hike in the long run.